Zero Plastic: A Backward Step? 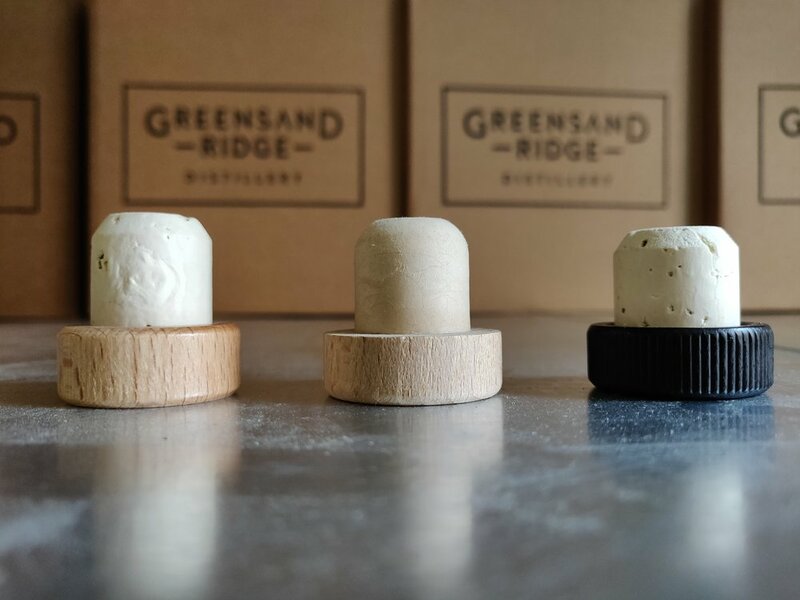 One of the goals of our sustainability work is to be free of single use plastic in the distillery. That’s been a goal from day 1 and so we’ve never really used much anyway. We used plant-based plastic (PLA) straws for a while but we’ve phased these out in favour of paper ones. We still use PLA tasting cups for events, which are better then oil-based plastic, but still not ideal due to commercial composting requirements. PVC shrink capsules. To be replaced with PLA or discarded altogether. The one thing we do use are PVC shrink capsules around our bottle tops. We feel like we need these to get our products around the world in perfect condition, and are hunting a manufacturer to make these from PLA for us (100,000 minimum order quantity so far), but will ditch them altogether if we can’t do that. Then there is the stretch wrapping commonly used to secure pallets of stock - we can have giant reusable socks made which stretch over pallets to secure the cases, but that does rely on our customers collecting and returning them, and we are talking to our regular volume clients about the feasibility of this. We use a small amount of inflatable PET to pack our retail sales, and we mark our shipments so people know to recycle it, but again, are hunting alternatives. So that’s been it until we recently took two backward steps. Our journey in closures (l-r): natural Cork, plastic shank, natural Cork with black painted wood. We’ve used natural corks from day 1. 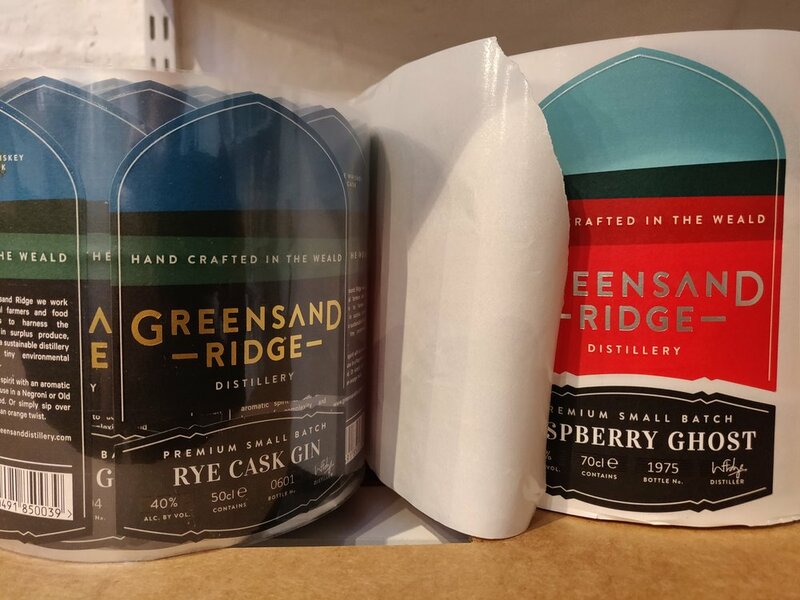 This is unusual in spirits as the manufacturers communicate a risk of colour taint which puts people off, but the risk and impact is small, and to us does not outweigh the issue of using disposable plastic or composite versions. We really misunderstood the impact that the use of plastic corks has on the lead time of natural corks - our latest order was to take 5 months. We were sent plastic alternatives which match our preferred visual style of natural wood, but introduced single use plastic back in. We preferred to switch to a black painted stopper which used natural cork even though it changes the look of our bottle. Better a temporary visual change then plastic corks, goes the thinking. We’ll think 6 months ahead from now. Pretty much every label which goes on anything is supplied to the manufacturer on Glassine paper, a siliconised paper which is not practically recyclable. So we’re changing to PET backing material for our labels based on the belief that using a material which is recyclable is better then one that isn’t, even if the initial impact of manufacture is higher (we’re not sure if it is or isn’t). We didn’t know the options until we faced the problem of recycling our glassine - it would have been handy to know as we have had to have all our label die cutters re-made for PET. Who knows how many kilos of PET we’ll need to recycle to offset those metal dies. So a permanent introduction of single use plastic, to mitigate a non recyclable alternative. an unappetising trade.